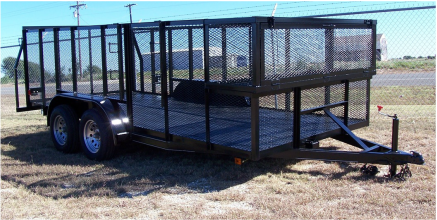 82″ X 22′ Tandem with 2-7000 lb. axles. 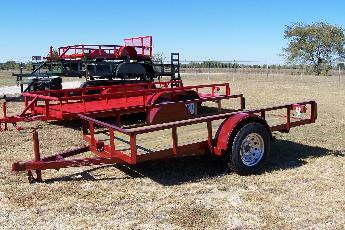 Wide deck on front, steel floor, 2 jacks, stake pockets on the sides of trailer, spare tire rack with spare tire. 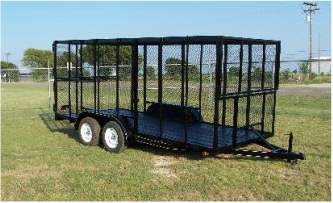 6'4" X 16' Trash Trailer with 6' expanded metal sides and expanded top. Split gate on the rear and front. 7000 lb. 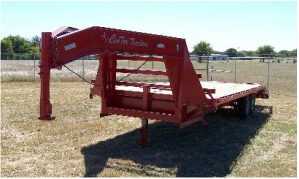 axles, stake pockets on sides, chain tray in front, 12k jack and easy up ramp. Standard features-4 ft. Expanded Metal Sides, 4 ft. Expanded Metal Gate, 24″ x 24″ Expanded Metal Storage Box, Weed Eater Racks. Single axle tilt with treated floor and new ST205/75D15 tires and wheels. With tandem 3500 lb. axles and new ST205/75D15 tires and wheels. 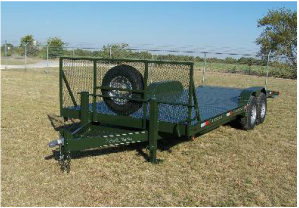 We build Tank Trailer's of all sizes. 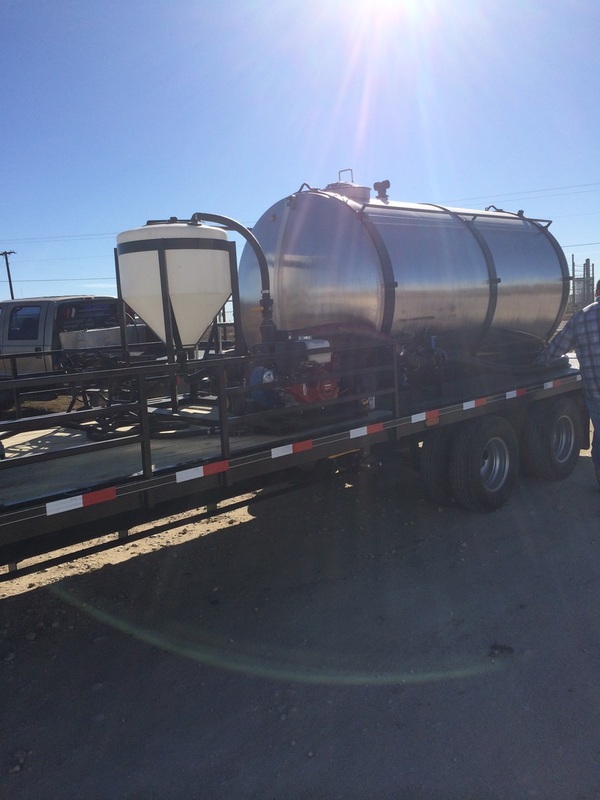 These can be used for liquid feed, fertilizer, or water. 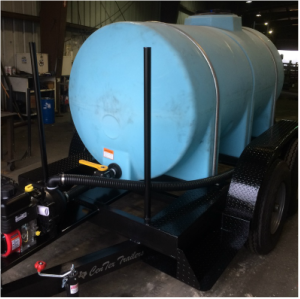 We can design tanks complete with pump and hoses. This would be great for liquid feed and many more uses. 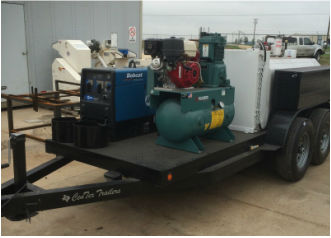 Our service trailers come complete with welder, fuel tanks, compressor, hoses, tool box, or whatever you need in order to roll out a custom service trailer to your specifications.